The book under review is about a sordid chapter in the history of medical invention. In the 1940s, US president Roosevelt launched an initiative to develop antibiotics to treat animals and humans, and to deal with the potential threat of biological warfare. Among the graduate students in the department was Albert Schatz, who was analysing soil samples to find an antibiotic that would cure tuberculosis. In his 11th experiment he succeeded, isolating two strains of a microbe. 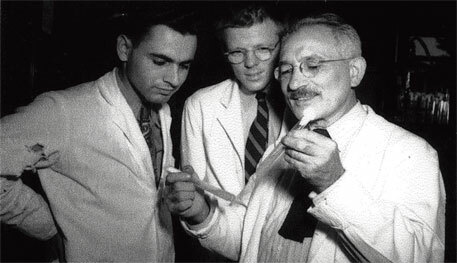 Schatz’s supervisor Selman Waksman arranged for the Mayo Clinic in Rochester to test the antibiotic on guinea pigs, and then on humans. It worked. Streptomycin cleared up infections that had defied even the first wonder drug, penicillin. Waksman was awarded the Nobel Prize and deified as a significant figure in medical pantheon. Acting as a fatherly figure in the beginning, he bullied his junior into signing away all rights, while secretly cutting a deal with drug firm Merck. Schatz challenged Waksman and received partial recognition. But by and large, the scientific community upbraided him for taking on his supervisor. Schatz had a comparatively low-key career. Streptomycin is still used against tuberculosis and other diseases. This story has been known since 1989, when British microbiologist Miltonv Wainwright traced Shatz, and Rutgers University grudgingly recognised streptomycin’s actual inventor. Much of what Pringle writes seems to have an uncanny resonance with contemporary research. In many places, it is standard practice for supervisors to put their name on papers by students or subordinates. If the supervisor has contributed significantly in ideas, work and writing, this is fair enough. But sometimes the supervisor has done little more than discuss and read through the student’s draft, offering a few comments. In extreme cases, the student’s name may only appear in the acknowledgements—or not at all.